Ebola is now in the US. Isis is on its way. Unarmed civilians are getting shot by law enforcement officials. Civil wars, mass kidnappings, volcanoes, a new Lenny Kravitz album. It’s a scary world! I got my flu vaccination earlier this week, so I have one less thing to worry about. There is a movement against the flu vaccine, but the flu is mighty unpleasant and can lead to death. I’d rather go on living and enjoying my life with a little mercury in my system than deal with chills, fever, a runny nose, a sore throat, muscle pains, a severe headache, coughing, and/or fatigue. If I wanted to be in that much pain I’d listen to the new Lenny Kravitz album. Though I get my flu shot every year, the needle always scares me. This year the doctor used a very small needle. I barely felt it and I’m happy to say I suffered no side effects. I feel great and energized, which is great because it’s Friday and I need to dance. The cover art can be obtained from Warner Bros. Records. 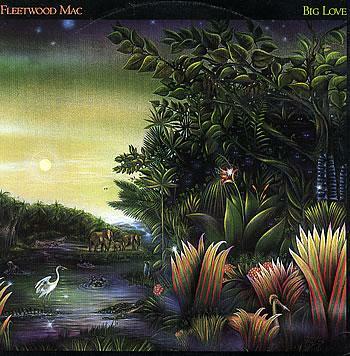 We’ll kick off this week’s dance playlist with the only Fleetwood Mac song to make the US dance chart, “Big Love.” The track was written, co-produced and sung by FM’s Lindsey Buckingham, who turns 65 today. In 1980 an Ohio-born performer living in Australia wrote and recorded a song that went on to sell over six million copies. It went to #1 in a dozen or so countries, including Australia, Canada, Germany, France, and the UK, where it reigned on top for three weeks. It has been covered dozens of times in different languages, and that’s not including the many versions of the tune that have been uploaded to YouTube. The performer is Joe Dolce and the song is “Shaddap You Face,” which was #1 in Glenn’s Ten (the only chart that matters) on this day in 1981. 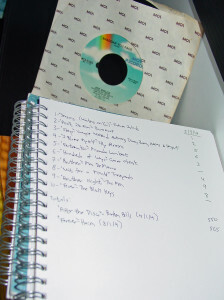 Today’s playlist consists of songs that were #1 in Glenn’s Ten on May 8 going back to 1981. The only one missing is 1993’s entry, “Riding on a Rocket” by Shonen Knife, as that is not available on Spotify.